Skipper Lee Wallace saved Rangers from further woe this week with a second-half equaliser in a 1-1 draw against Ross County at Ibrox. 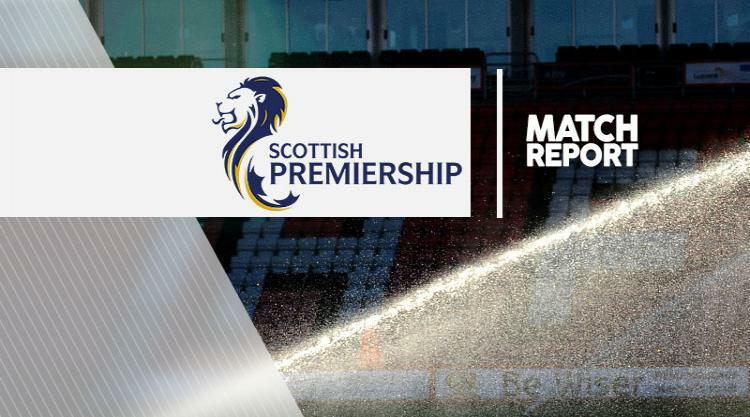 Mark Warburton and his side came in for stinging criticism following the 4-1 battering at Hearts on Wednesday night and Staggies striker Alex Schalk added to the angst when he fired the visitors ahead in the 18th minute. County should have been further head at the interval with the Dutchman missing a couple of other chances. However, the Light Blues smartened up after the break and Wallace levelled in the 71st minute for the third draw between the sides this season. But the goal did not prevent some boos from the home fans at the final whistle nor the Govan side slipping back into third place in the Ladbrokes Premiership on goal difference behind Aberdeen, who beat Partick Thistle at Pittodrie. There was no surprise that Warburton made changes after the trip to Gorgie. Ross County boss Jim McIntyre brought in Jason Naismith, Andrew Davies and Milan Lalkovic. The Highland club posted warning in the second minute when Gers keeper Wes Foderingham stretched to claw the ball away after a Martin Woods drive skipped off defender Clint Hill and looked to be looping in under the bar. At the other end moments later County keeper Scott Fox tipped a James Tavernier drive over the bar for a corner which, like all of the home side's attacks in the first-half, came to nothing. County's goal came on the counter. Wallace was missing when Jim O'Brien raced down the right-hand side and when he played the ball inside to Schalk the Staggies forward had time, space and confidence to clip the ball past Foderingham from 12 yards. The home support grew further agitated when Ross County missed a chance to double their lead 10 minutes later. An mix-up between Foderingham and Hill close to the bye-line allowed O'Brien to nip and cut the ball back for Schalk but with Gers keeper scrambling to get back in goal he slipped and hit the side-netting with his scuffed shot. Rangers forced their way back but Garner was too hesitant when played in by Miller before he missed a James Tavernier cross by inches at the far post. However, five minutes from the break Foderingham was forced into a decent save after Schalk all too easily burst through the middle of the defence to deliver a right-footed drive, when it looked like he could have taken the ball closer to goal. Rangers started the second-half with efforts from Senderos and veteran forward Kenny Miller which missed the target before Fox made a brilliant save from Garner's close-range header, the keeper thwarting the former Preston attacker who drove in again just before the hour mark after a mis-header by Kenny van der Weg. As the pressure on the County goal intensified it was left-back Wallace, who showed how it should be done when he took a Jon Toral pass and, from a tight angle, squeezed the ball past Fox. The home side, pushed for the winner but spurned good opportunities, especially from several free-kicks outside the box, before running out of time although no one could begrudge the hard-working Highlanders a point.